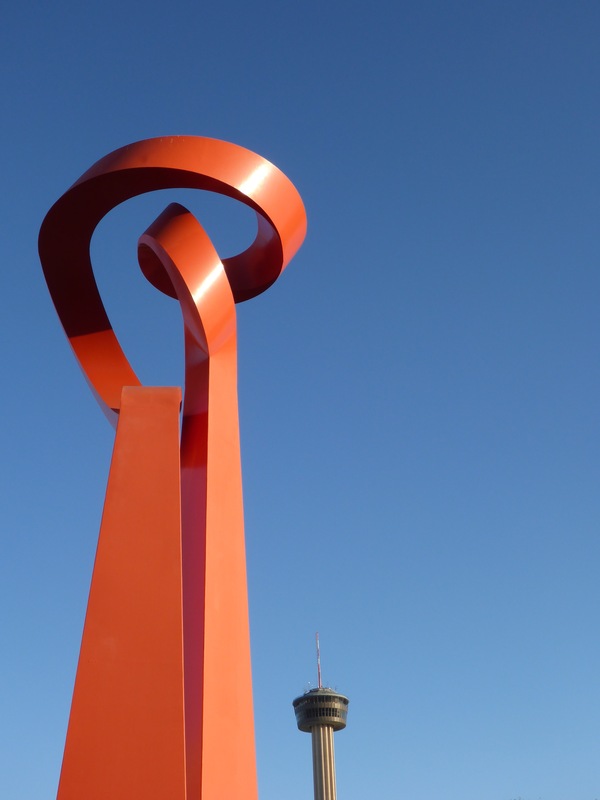 If you are walking in downtown San Antonio, you are likely to see a large sculpture called the Torch of Friendship. 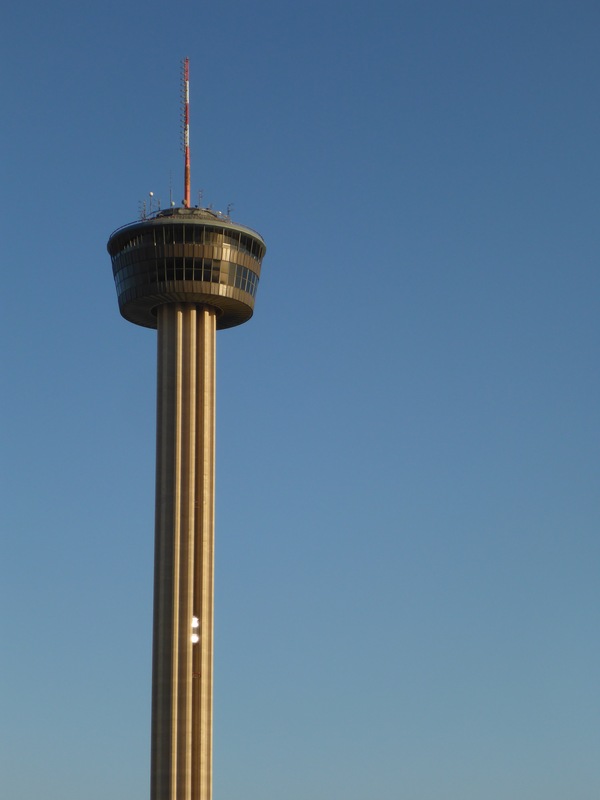 You may also experience direct sunlight and off in the distance, see the sunshine glinting off the exterior elevators as they carry passengers up to the top of the Tower of the Americas. 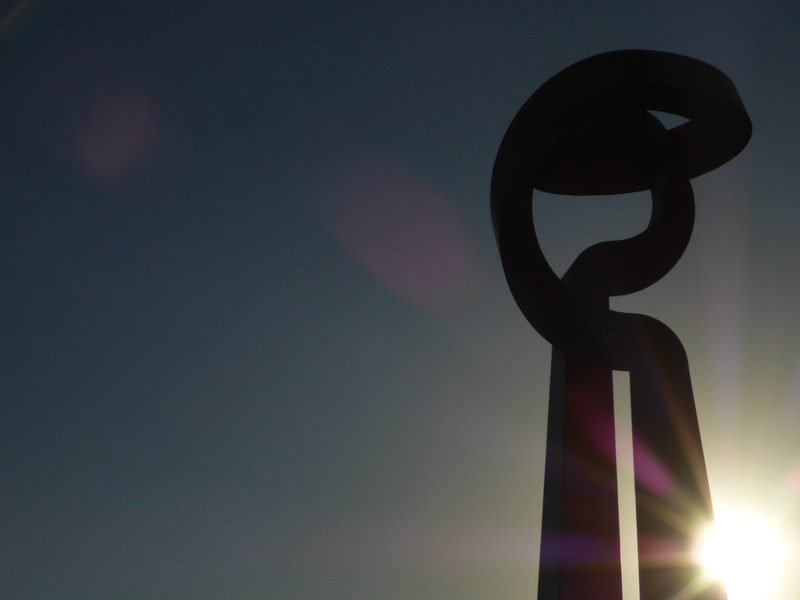 This entry was posted in Photography and tagged Art, Downtown, La Antorcha de la Amistad, Photography, San Antonio, Sculpture, Sun, Sunshine, Texas, The Torch of Friendship, Tower, Tower of the Americas.